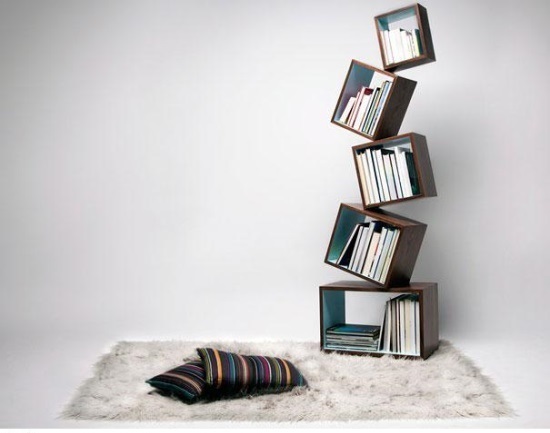 Whether you are a certified bookworm or not, bookshelf is one of the traditional or stereotypical concept that should not be discarded despite of the technological revolution that are transformed through gadgets and devices today. It’s true that you could have your portable library without the built-in or ready-made bookshelves at home, and even in library or work places. Nonetheless, your favorite smartphones, laptops, and even tablets cannot supersede the value of bookshelf. A creative bookshelf brings and attracts people to learn something new, study harder for students, and appreciate the traditional way of learning. It gives a sophisticated and refreshing look that inspires others to come to these places, and get a book where they can study comfortably and with great zest.